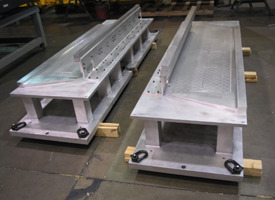 Customers often prefer aluminum for its cost savings and reduced lead times. With aluminum’s longer-lasting and easier cutting properties, more parts per tool can be made, further reducing cost. So, when a higher coefficient of thermal expansion (CTE) is not a concern, aluminum can be the answer. And while the demand for high-quality steel tooling is less common, Leading Edge Aerospace realizes that certain parts calling for complex designs that are CTE-critical require precision tooling and high-temperature layup molds to meet these demands. 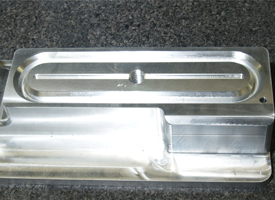 Ready to talk specs on your next metallic tooling or layup mold project? Good, because we’re ready, too. Just call Ben Johnson at 316-942-1301, or email him. With your requirements we’ll work with you to develop the right tool for the right job. Using original part data, Leading Edge Aerospace designs and programs aluminum and steel molds that provide sufficient tolerances to each tool’s surface in order to consistently fabricate precision aircraft parts. 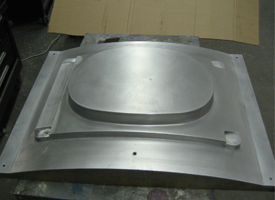 To learn more about our advances and expertise in composite tooling, click here.